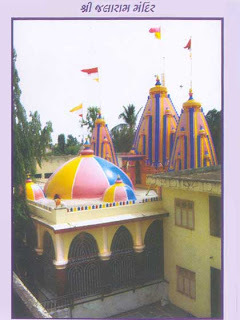 Here is Some information about Jalarambapa Temple in Virpur Gujarat India. 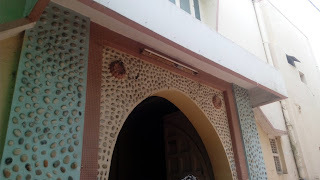 Temple facility : Guest House and Kitchen. 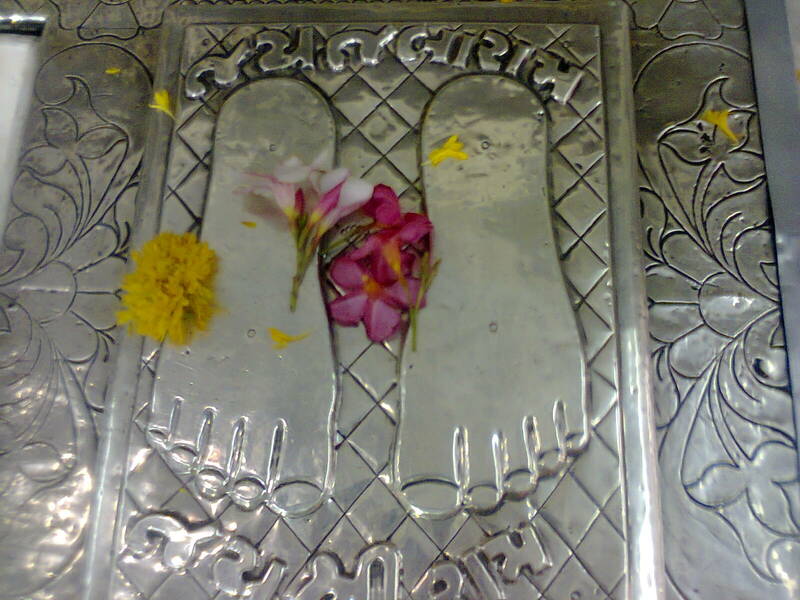 The "Samadhi" of Shri Jalaram Bapa is on the feet of God Shri Ram Chandra.This had enterance just on the Left side of the Big Gate of the "Dela".The "Jholi-Danda" which is kept in the Transparent Cup-board and Shri Hanumanji's Idol is also Placed near the "Samadhi".Due to the "Jholi-Danda" only, it is possible to provide two times free Prasad and TEA to the thousands of visitor who come for the Darshan of Shri Jalaram Bapa .Here in the "Darbar of God" every one where he is "Crorpati" or "Roadpati" is consider same and they are offered "Prasad" when they all sit in a same row.The "Prasad" consist of "Ganthiya","Bundi" and "SABJI" in morning and "Khichadi-Kadhi" and "Deshi Ghee" in evening in a traditional dish of Leaves.All visitors take this Prasad happily. 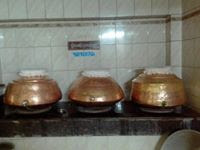 There are three Gaints Copper Pots in the Temple which was given by "Ganga Maiya" filled with the "holy Water" of Ganga, yamuna and sarawati rivers. The water from these pots never get empty.Moreover no one had suffered from any disease after drinking this "Water". Shree Jalaram Bapa was born in the year 1800 AD in the village Virpur, Gujarat. His mother, Rajbai was very fond of serving sadhus and saints. No sadhu and saint could go from Virpur without receiving the hospitality of Rajbai. Shree Jalaram Bapa's father's name was Pradhan Thakkar, who was engaged in business. 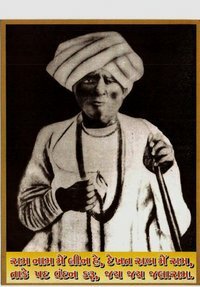 At the tender age of 16, Jalaram married Virbai, daughter of Thakkar Pragji Somajia. 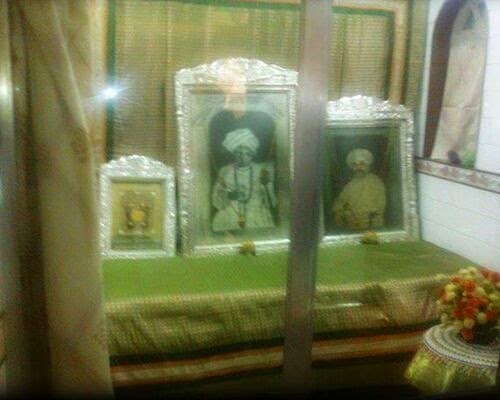 Jalaram was however not inclined to live household life and to continue to do business with his father. He is mostly engaged in serving sadhus and saints. 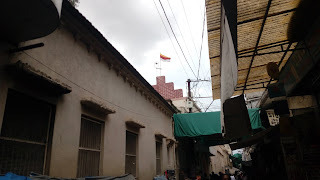 He separated himself from his father's business and stayed with his uncle, Valjibhai, who was very fond of Jalaram. It was obvious that Jalaram was inclined to completely withdraw from marital life. Fortunately his wife, Virbaima decided to follow the path of Jalaram. So, when Jalaram decided to go for a pilgrimage for holy places, Virbaima followed him. 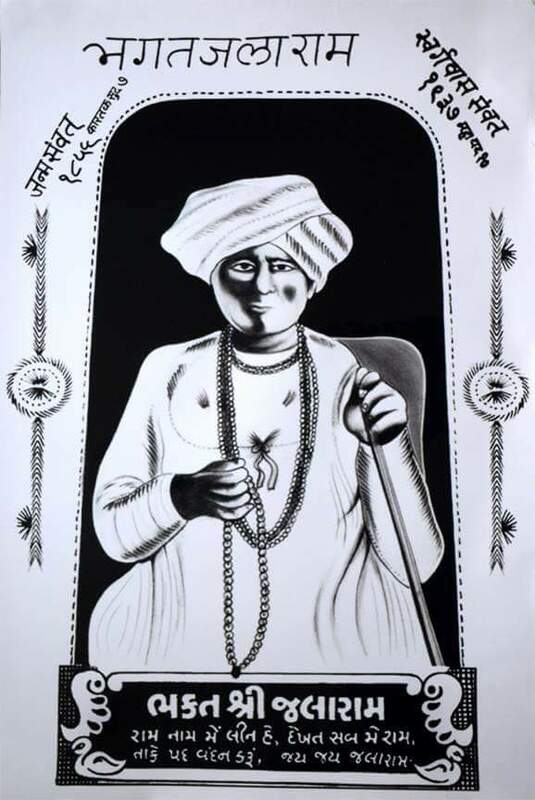 At the age of 18, Jalaram Bapa accepted Shree Bhojalram from Fatehpur as guru and was given a "Guru Malaa and Mantra" in the name of Shree Ram. With blessings of his guru, he started "Sadavrat" a feeding centre, a place where all sadhus and saints as well as the needy could have food any time during 24 hours. Nobody returned from that place without having food. All this he did single handed with Virbaima assisting him. Soon his fame spread as an incarnation of the divine. 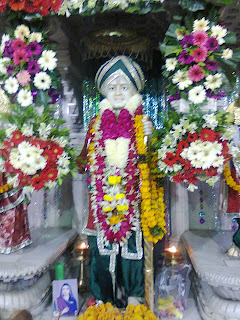 Whoever come to Virpur, whether Hindu or Muslim was fed by Bapa. 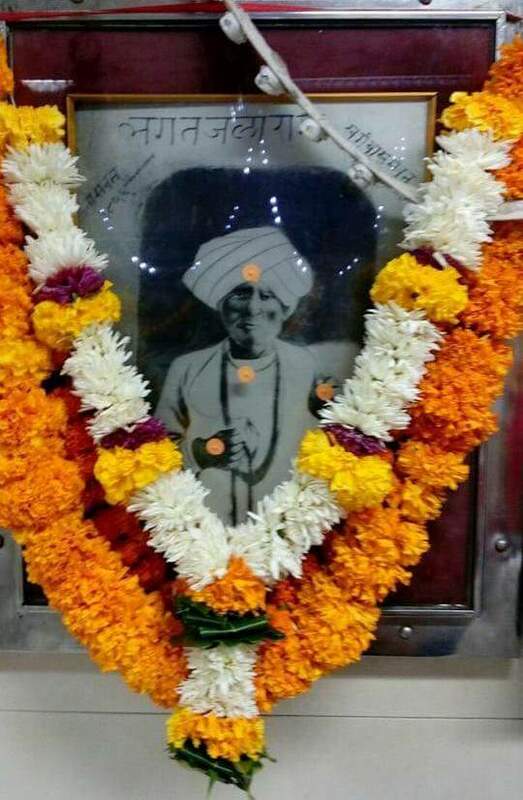 Once three Arabs in the service of Thakore of Rajkot demanded an increase in wages by four rupees in a month. Being refused, the Arabs resigned and set out to Junagadh. On their way, they hunted few birds and kept them in their shoulder bag. 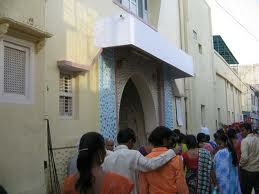 When they reached Virpur, Bapa asked them to have their meals and then go. When they protested that they were Muslims, Bapa said that in the court of God there was no distinction in caste and creed and they were welcome. The three Arabs had their meals in the temple but they were embarrassed that they were carrying dead birds in their bag. The Bapa touched the bag and said that the birds were feeling suffocated. The Arabs opened the bag and found that the birds were alive. They flew away to a nearby tree. The Arabs were amazed and understood that they were in the presence of divine person. 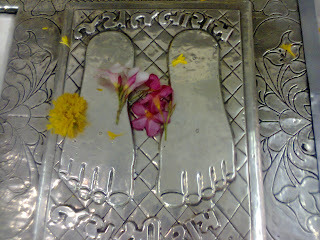 They fell at his feet and asked whether they would get a job in Junagadh. Bapa said "What was the need to have a job in Junagadh? The Arabs serve only one master." Just at that time, a camel man sent by Thakore of Rajkot arrived there. He took back the Arabs with him saying that Thakore has sanctioned an increment of seven rupees in their wages. 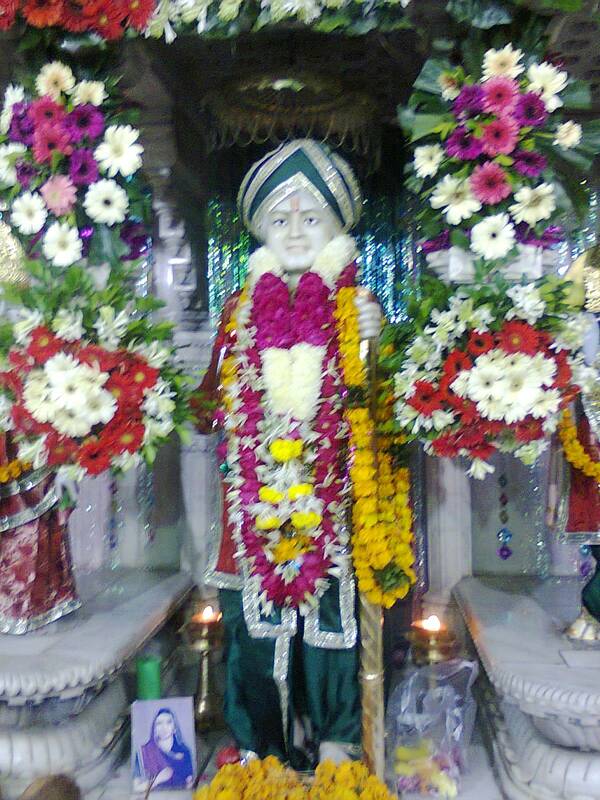 There are many stories about the greatness of the saint of Virpur. Remembering the stories, we can fill the heart with devotion and gratitude. 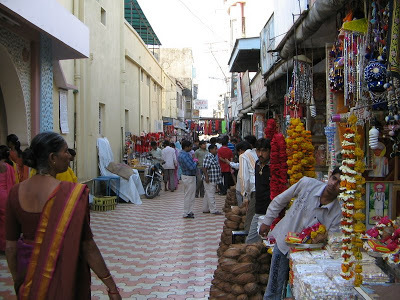 By Bus : You have to reach to Rajkot,Gujarat from where virpur is merely 50-60 km run and you can go there by hiring a taxi or you can go by bus. By Rail :You Have Rajkot Railway Station and Rich By Bus to Virpur,local Railway Station is virpur Station. By Air : To take a flight to Rajkot and go to virpur via bus,To take a flight to ahmedabad and then reach Rajkot via bus or train and then go to virpur via bus..To take a flight to mumbai then go to rajkot/ahmedabad but make sure final destination should be rajkot then go to virpur via bus.